The use of mobile phones has been rising in Asia, and with it the technology for making mobile payments. But will this new technology dethrone the traditional payment method of cash? A recent survey from GMO Research (GMOR) is providing some interesting answers to this question. So which countries are leading the way? According to GMOR’s survey, mobile payment is most regularly used in the Chinese and Indian markets (96.0% and 84.3% or users respectively). In contrast, Indonesia has the lowest proportion of regular users (only 40.5%), but this has interesting implications for companies wishing to introduce new mobile payment technologies into the country. As for the users themselves, GMOR’s survey found a trend towards younger people using mobile payment in markets with higher mobile penetration, and revealed a fairly even gender split across all the countries surveyed. Overall, the APAC region is made up of a number of different national markets, each at different stages of maturity when it comes to mobile payment. 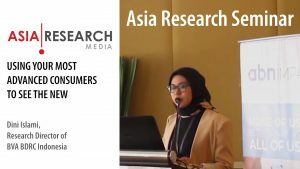 Understanding these markets and the unique make-up of their users is key to understanding the future of mobile payment in Asia. 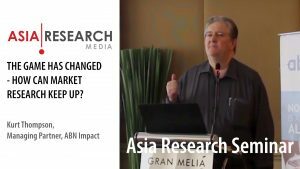 This is a shortened version of a three-part white paper from GMO Research about the mobile payment industry in Asia, and the challenges and opportunities it will face in the future. To read the full article and discover more results from GMOR’s mobile payment survey, go to https://gmo-research.com/whitepaper/free-whitepaper-download. 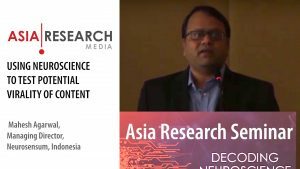 GMO Research offers an online research solution platform that allows access to multi-panel and multi-country online panel network – Asia Cloud Panel. While constantly expanding their reach in Asia and globally, Asia Cloud Panel consists of over 22 million online consumer panelists across 13 APAC countries, ranging from consumers to CEOs. GMO Research is a part of and backed up by GMO Internet Group – one of the largest Internet Conglomerates in Japan specializing in a number of Internet-related technologies. GMO Internet group has the number one Japanese market share in Internet Security, Payment Processing, E-Commerce Solutions, Web Hosting, Domain, and FX Trading. They also cover Web Infrastructure & E-Commerce, Internet Media, Internet Securities, and Social Media and Smartphone platform.